These Bloody Handprint Balloons will assist you in creating the macabre atmosphere that you desire for your Halloween party or creepy carnival. Clear latex balloons with splattered blood and handprints. Helium quality. Coordinate with other Bloody Handprint party items for a complete party theme. 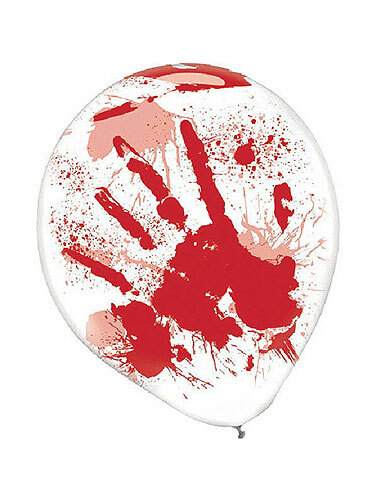 Bloody Handprint Balloons measure 12". 6 ct.